To create the look you want around your home, you need to come up with a landscape plan. 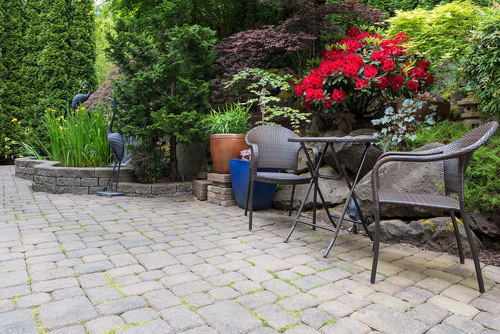 Taking the time to consider what kind of features you want or need, and the look of your desired landscaping, is essential to making this plan. Think about special needs you may have, such as deer-resistant plants, low-maintenance landscaping, colorful flowers, or native flora. It’s important to learn as much as you can about the plants you choose to place in your yard. If you put a plant or flower into the ground in a sunny area and it requires shade, you have just sentenced it to death. You may be a person who likes to “fly by the seat of your pants,” but this attitude will not work if you want to achieve a beautifully landscaped yard. Even a simple landscape plan can help you avoid mistakes and create a beautiful look that lasts for years if properly maintained. There are other important factors to consider in your landscape plan. Determine the hardiness zone you live in and find about the health of your soil through testing. Taking an inventory of the light in your yard is crucial to knowing which plants you can place in different areas according to their needs. Size, color and texture are other necessary pieces of information when deciding where to place vegetation. Xeriscaping is a concept to consider if you are concerned about water conservation. If all this planning sounds like something you cannot do by yourself, contact a local landscape professional to help you with a landscape plan. You will be glad you took the time to make a strategy for creating a beautiful yard when all the work is done.